Photometry shows the changes in luminosity taking place in a star, which in M stars are mainly due to stellar activity. They can be shown as rotational modulation in the light curves as a consequence of the presence of starspots or any other co-rotating structure in the stellar surface. They can also be shown as sporadic and strong flares or simply as larger of smaller stellar activity episodes. Coordinated photometry simultaneously acquired with radial velocity (RV) measurements, collected with high-resolution spectrographs, is important to discard spurious signals (instrumental and/or stellar activity) in the interpretation of the spectroscopic data. The differential photometry technique consists in obtaining measurements on the main target (the expected variable star, V) and one or more reference stars (the comparison stars, Ci). Then, the magnitude differences V-C1, C2-C1, etc., relative to the main comparison star C1, can be determined and the changes in luminosity of V are revealed. The rest of the comparison stars (C2, C3, etc) are used as check stars, to make sure that the variability that we are measuring comes effectively from the main target V, and not from C1. Star field centred in Proxima Centuri. Selected comparison stars are labeled from C1 to C6. Size of the FOV is 21.6 x 21.6 arcmin. In the past, photometric observations were carried out using monochannel photomultipliers, where only one star could be measured at a time. Therefore, a common photometric observation sequence would be, e.g. Sky, C1 ,C2 ,V ,C1 ,C2 ,V ,…with sky measurements every some cycles in order to be able to measure the sky background. 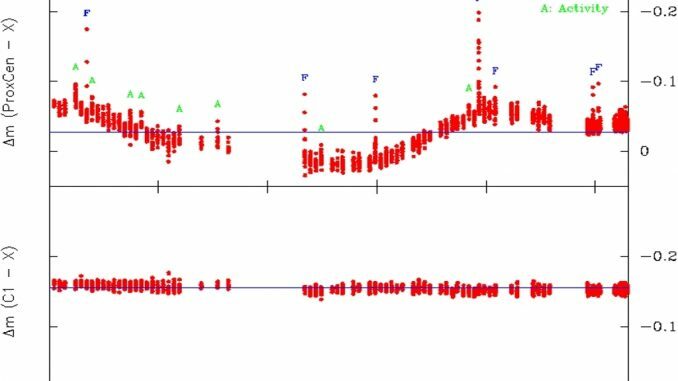 This meant that the data points for different objects were not collected simultaneously and time interpolations were necessary to obtain the corresponding magnitude differences V-C1, C2-C1, etc. Moreover, this implied that only 2 or 3, at most, comparison stars could be used in the observing sequence, or observations would be too slow and few data points acquired within a night. This problem is nowadays well-resolved using CCD photometry, as all the stars to be measured (the variable V and the comparison stars Ci) lie within the same frame in the CCD images. This means a significant advantage over the speed of data collection. Moreover, simultaneity constitutes also an important advantage over the precision of the obtained data points, since small changes in the sky transparency are then negligible. Furthermore, differential extinction corrections are also commonly negligible in CCD photometry due the proximity between V and the comparison stars. Only in the cases of a large field-of-view (FOV), comparison stars far within the limits of the CCD frame and measurements at very large airmass, should be necessary to take into account the differential extinction corrections. During the present Red Dots (RD) campaign to be carried this summer/autumn of 2017, a set of six comparison stars, within a radius of 10 arcmin, have been selected for each of the three main targets: Prox Cen, Barnard’s star and GJ 729. 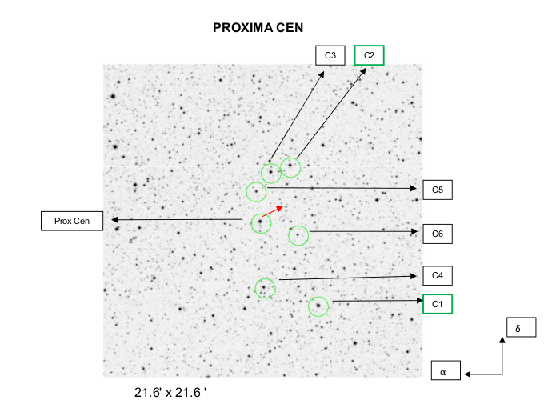 Figure 1 shows the field around ProxCen as an image of 21.6 x 21.6 arcmin with the set of six comparison stars, C1 to C6. They were selected on the basis of their stability and our experience during the Pale Red Dot (PRD) 2016 campaign. The subscripts 1 to 6 were selected in order of higher priority, e.g. C1 and C2 are the brightest comparisons, hence they have the largest fluxes and will give the best accuracy. Once the original CCD frames are corrected from bias, dark current, flat-fields, and sky backgrounds, the net fluxes are obtained for each selected target. Then, the magnitudes and magnitude differences relative to, for example, C1 are obtained for each object and data point. Finally, the nightly time-series and consequently the global time-series for the full observing campaign are obtained. In order to improve the reduction procedure and our results it is convenient to use autoguiding during the observations, in that way, each object is permanently centred in the same pixel in the frame. This ensures a better stability and internal precision within each observing night and from night to night. 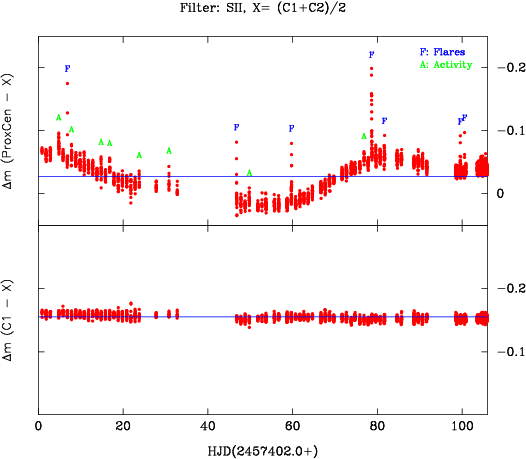 Top: Proxima Centauri differential light curve with SII filter obtained during the PRD 2016 campaign; flares and activity features are clearly visible. The rotation period is 83 days. Bottom: Differential photometry of the C1 comparison star to check its stability. Commonly, only the reference star C1 is used as the main comparison star and the rest of reference stars are only used as check stars. Sometimes, in order to gain precision and better control of the stability of the system, a combination of several reference stars is used. As an example, during the PRD 2016 campaign we used C1 and C2. Thus, the magnitude differences were determined relative to X=(C1+C2)/2. Figure 2 shows the photometric light curve for Prox Cen with SII filter during the PRD 2016 campaign. The top panel shows the rotational modulation of Prox Cen (P_rot=83 days) as consequence of the presence of starspots in its surface. Various flares were also detected during the campaign, together with other episodes of activity of different intensities. The bottom panel shows the stability of C1 comparison star with respect to X. During the present RD 2017 campaign, we will use their respective C1 and C2 as main comparison stars for each of the three targets, Prox Cen, Barnard’s star and GJ729. 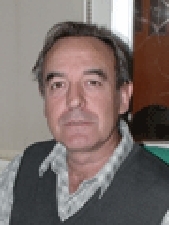 Dr E. Rodríguez is a specialist in stellar variability, pulsations and stellar evolution, multicolour photometry and stellar atmospheres. He is a member of the scientific staff of the Instituto de Astrofísica de Andalucía in Granada (Spain) and head of the Stellar Physics Department.